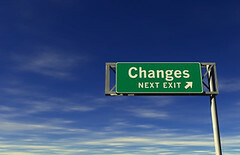 Posted on November 1, 2007 | Comments Off on Time for a change: Is mediation ready for reform? While legal futurist Richard Susskind contemplates the future of the legal profession in an online debate over excerpts from his new book, The End of Lawyers?, two leaders in the alternative dispute resolution field take a hard look at the direction of mediation and think it’s time for change. The acceptance and legitimizing of mediation by courts and other organizations may be the best thing that has happened to mediation practice — and perhaps also the worst. Haynes often warned that without very careful monitoring, mediation would become just another cog in the institutional machinery. He knew, as does Melamed, that unless mediators appreciate the necessity of being independent and effective practitioners, not beholden or reliant on anyone but the parties for their professional survival, the field may be in jeopardy. For “big stakes” cases, like civil litigations coming out of district courts, lawyers make up about 95 percent of the mediators, Alfini said. In small claims and family law disputes, the number is about 50 percent. “This mutes the parties and returns it to a lawyer-centric, not party-centric system,” Alfini said. When lawyer-mediators take on an evaluative role – offering opinions on settlement options – the framework is narrowed and it invites attorney dominance to the process. By suggesting an amount or specific option for settlement, studies have shown that in the end the parties are less satisfied with the outcome of the mediation, feeling that the mediator was somehow partial to one of the sides. Alfini said on the decline is the joint session in which the two parties and the neutral mediator sit down together at the conference table. Taking its place is a form of “shuttle diplomacy” – one party or its counsel in one room, the other party in another room and the mediator going back and forth between the two. “This sacrifices effective justice for efficient deal brokering,” he said. New Zealand mediator Geoff Sharp asks his American readers for help in making sense of Benjamin’s criticisms of the state of the mediation field here in the U.S. In my view the problem lies not in a lack of innovation or entrepreneurship. But I do think that Benjamin is right that mediation’s complicitness in the functioning of the institutional machinery yields the kind of failings that Dean Alfini points to. Maybe it’s time for us to shake up the establishment. Mediators, what do you think? Is Robert Benjamin the Richard Susskind of our field? Or is he just lobbing bombs for the pleasure of seeing them explode? This entry was posted in The Future of ADR and Law. Bookmark the permalink.